As of its publishing, this post has 3K likes and 13 comments on the platform on which it was originally published. 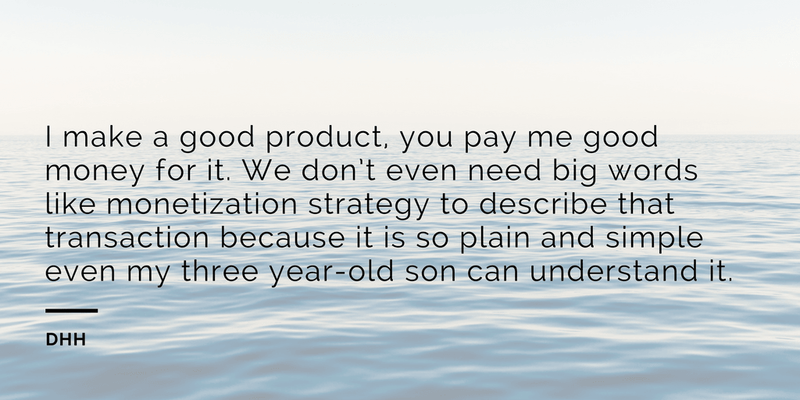 It’s probably no surprise that these words were spoken by Paul Graham during an interview. “If a place has really good food, it can be in an obscure location, charge a lot, and have really bad service, and it will still be popular. If it has bad food, boy, it better do something really special to get anybody in there. The startup legend famous for saying “the only essential thing is growth” didn’t say some startups flop because they don’t grow fast enough. He didn’t even say they flop because their investments dry up. What he said was they fail because they run out of money. That’s why I focused on profit, not hyper-growth, when I started my company JotForm as a side project over 12 years ago. I didn’t quit my day job. I didn’t follow my dreams. Vanity metrics meant nothing to me. That isn’t to say growth isn’t good for business. 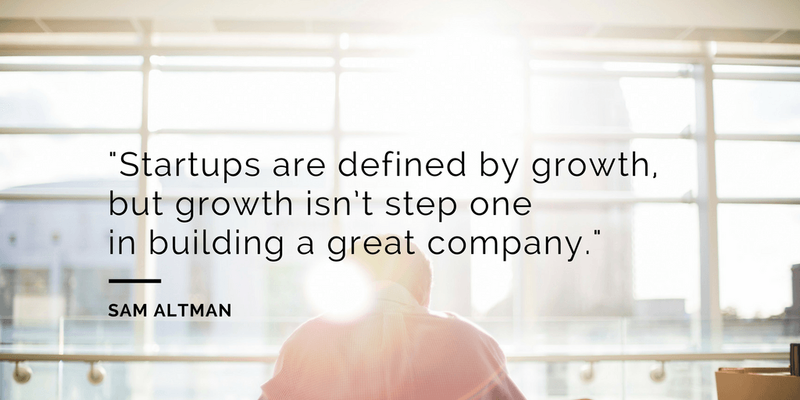 Growth, along with profit, is absolutely vital to every startup’s success. What is not vital are 80-hour work weeks and the enormous pressure to focus on insane growth instead of improving your product. Hyper-growth isn’t only unrealistic, it can be a huge detriment to your startup. The good news is, there’s another way to grow. It’s for the patient. It’s for the brave. It’s for the founders who want to spend time with their families, create a healthy culture for their employees, and develop a product with loyal users. It’s by growing organically and slowly. It’s that simple. But simple isn’t always easy. It isn’t easy to ignore the glittery startups unicorns that seem to achieve overnight success. I’ve certainly caught myself experiencing FOMO as competitors suddenly sprouted 20 new employees and raised millions in their series A B C rounds. That’s why we made a decision at JotForm to focus on the customer, not the competition. Sure, we’ve been tempted by trends, but we haven’t given in. The best part is we don’t have to. We answer only to ourselves. As a bootstrapped company, we write our own destiny. We don’t have time to worry about our competitors or woo VCs — focusing intensely on our customer base, not growth hacks, helped us grow to 100 employees and 3.2 million users in the past decade. …gives you not only the resources but the knowledge to hire employees who elevate your whole team. And you’ll recognize a good fit because you’ve sat in every seat from developer to housekeeper during your startup journey. …means you get to develop a strong company culture. Or, core values. Those can be whatever you want them to be, as long as you uphold them as a team. It takes time, but I believe developing your core values is one of the most important elements for lasting success. …enables you to take time to develop an effective onboarding program, fall into a natural team workflow, and all those other little things that take companies from good to great when they aren’t burned up in the flash fire of VC funding. You’ll know you’re on the right path when customers start voting with their dollars. Getting to that level of trust takes time. But once you’re there, that trust is worth more than a thousand unpaid subscribers or hundreds of Twitter followers. VCs need to invest in startups. It’s literally their business model. We don’t need them as much as they need us. The minute a founder gets a cash infusion, it’s easy to confuse building what customers want with what investors want. If you believe that the only essential is rapid growth, then rapid growth can easily become your sole focus. Each hit has to be more intense than the last. It can be an addiction. You won’t have time to monitor whether your slew of new hires elevates or destroys your company’s culture. You won’t have time to make sure that what you’re building is something your customers actually want. Focusing on hyper-growth leaves out important parts of the story. Time and again we are shown that growth is essential, but it isn’t the only essential. I had a dream of enjoying both my work and my life. The way I achieved that turned out to be by growing organically and slowly. It didn’t get me to the top of TechCrunch and it was never easy, but it paid off. Growth is not a bad thing. Actually, it’s a great thing when done slowly and organically. However, unrealistic and unhealthy hyper-growth can be a huge detriment to the success of your startup.